In my opinion the best way for generating leads in a B2B business are outbound marketing, marketing of your product through various events, brand promotion. Cold Calling, Mass mailers, Cold Visits, Participating into Exhibitions are few ways which helps in lead generation. According to me there are various ways to generate a lead. You can do a cold calling, Mass Mailer are also used for the same, you can go for a direct visit,Apart from these you can also participate in various trade shows to collect some fresh database and make a follow up call for lead generation. According to me the best way through which one can generate lead is by performing activities near big business houses. These activities include setting up canopy, direct approaching the people gathering near smoking points, providing brochures etc. Cold calling is also one of the best way of generating lead, but one should try this method on a fresh data because as the data goes old its authenticity loses & also the target customer's gets annoyed. 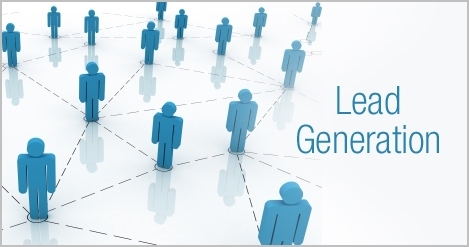 Lead generation is process of generating prospect's interest into products/services of an organization.. Some best ways/ platforms for generating leads are:- trade shows/events, questionnaires, social media, advertising, tele-marketing.. In my perspective, Social Media and Local Business Listings are more efficient for lead generation. Branding is even important to crack those leads and convert into customers. I think Advertising is the Best Way for Lead Generation.Advertising is one of the best tactics for generating leads.It is also the great way to build name recognition in the market which can get you publicity.